Lori Riggs is a certified Speech/Language Pathologist with over twenty years of experience in providing speech therapy, cutting-edge oral motor therapies, and auditory training programs to families around the globe. After graduating from Baylor University in 1990, Lori obtained her Master’s degree from Kent State University in 1992. For the next several years she provided acute care and rehabilitative speech therapy services to children and adults in hospitals, outpatient clinics, nursing homes, and home health settings. 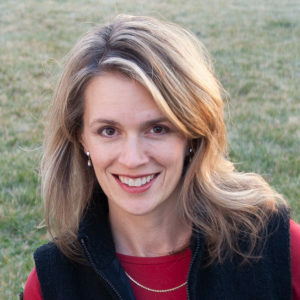 Lori’s work with NACD began in 1997 with her participation in a two-week consultant training course in Ogden. In 1998 she left hospital work to become a full time employee of NACD, supervising sound therapy programs for NACD clients. When NACD collaborated with other professionals in 1998 to create The Listening Program, Lori was a member of the development team. She also coordinated the field testing conducted at multiple sites around the nation before The Listening Program was released in September of 1999. Once The Listening Program was released, Lori became the primary supervisor of its use with NACD clients. In addition to supervising The Listening Program, Lori designs individualized oral motor protocols and speech and language programs for NACD clients to improve feeding and communication. Lori currently lives in Utah with her two children, where she works from the national office. She is actively involved in the development team for NACD’s Targeted Sound Intervention (TSI) programs, as well as the NACD Home Speech Therapist speech apps (Speech Therapy for Apraxia and Speech Therapy for Apraxia-Words).